This is a great way to use up those last few garlic cloves (short of just popping them in your mouth as is) and it's so good and easy to make. 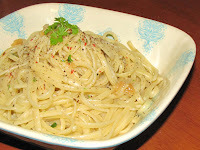 All you do is simply soften the garlic cloves in a little butter or oil, add a little salt and pepper, and mix in your noodles. Yep. That's it. I wish I could express into words how incredibly awesome eating this pasta dish is but I don't feel like I could even do it justice. Just trust me when I say that you need to be drooling right now. 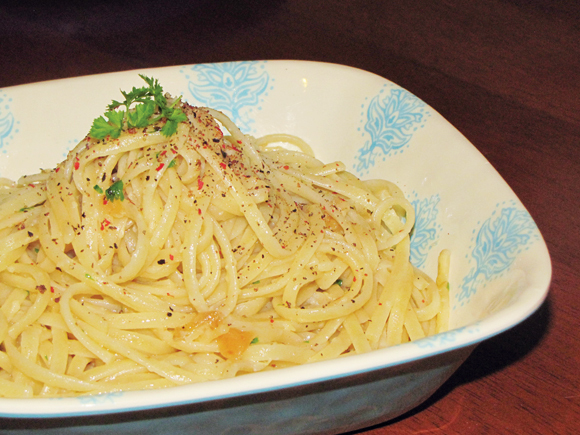 The saltiness of buttery, garlic chunks mixed with the strands of pasta is like heaven on a plate. It's just simplicity at it's best. 1. 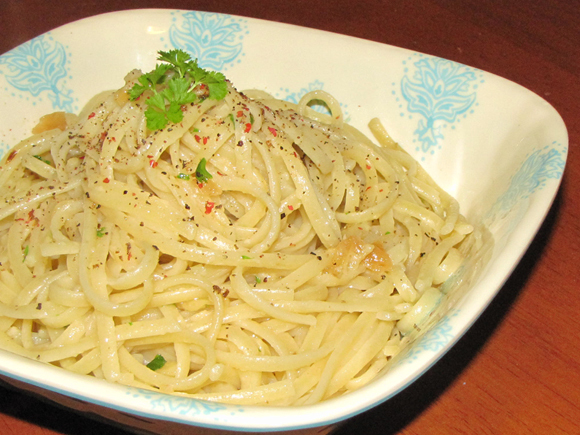 Melt butter over med-low heat in a skillet pan that is large enough to hold the pasta. 2. Add the garlic and let it warm for a few minutes. Smash it in the pan with the back of a spoon or spatula. (Silicone works best so you don't scratch your cookware!) I left a few small chunks. 3. Add the salt and the parsley. Turn heat up to medium and cook until everything is coming together. 4. Stir in the pasta and cook until heated through. 5. Sprinkle with pepper and parsley. Serve.